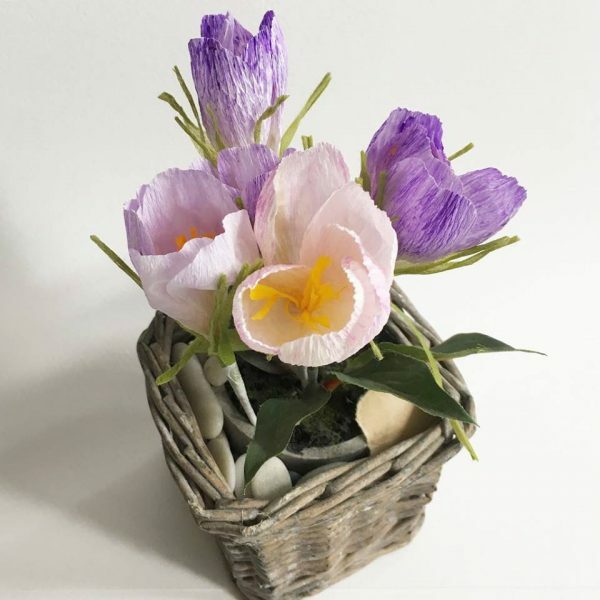 Do you have flowers you love and enjoy every time? I have. And one of them are crocuses. And I don’t like cut flowers. They are sad, will die soon and with this will also die the message they are suppose to carry. 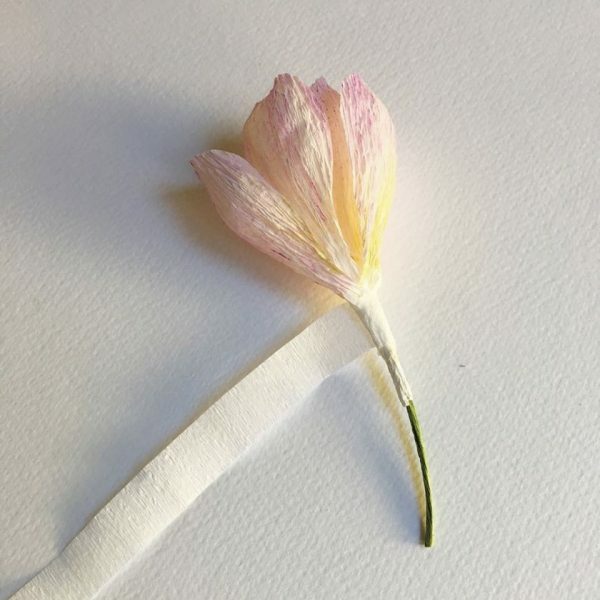 Crocuses are flowers which are very easy to make from paper. 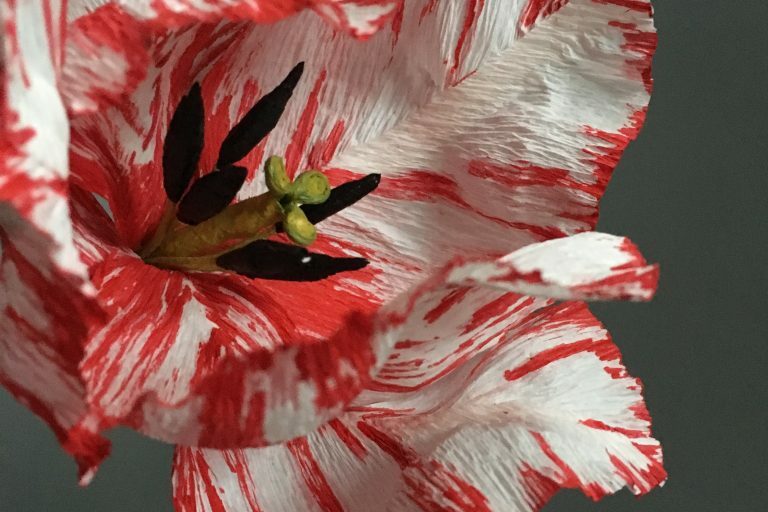 You just need the desire and white crepe paper. Of course, you can use coloured paper, but I prefer white, because I can put all the shades I need onto it. 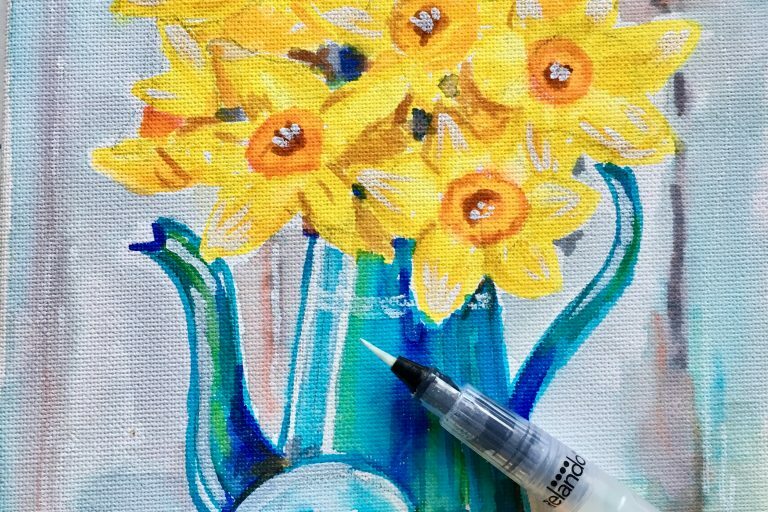 But if you prefer not to deal with paints, brushes and jars with water, you can work with dozens of great coloured crepe papers. If you do, I suggest you use the Italian ones. They are great! 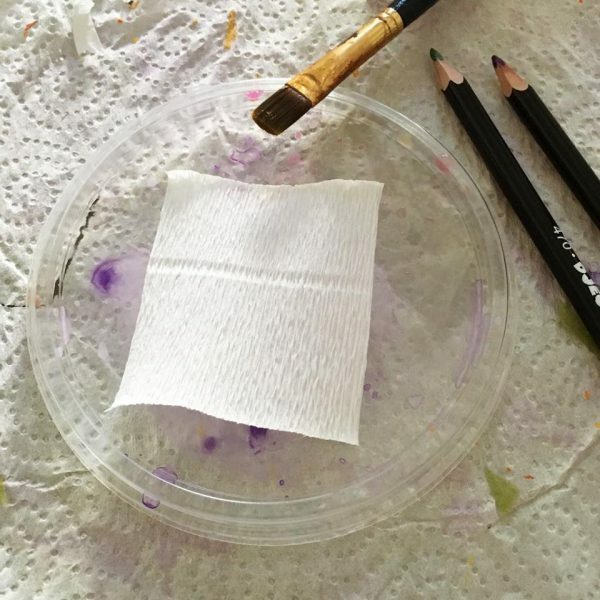 Make a few square pieces of white paper. 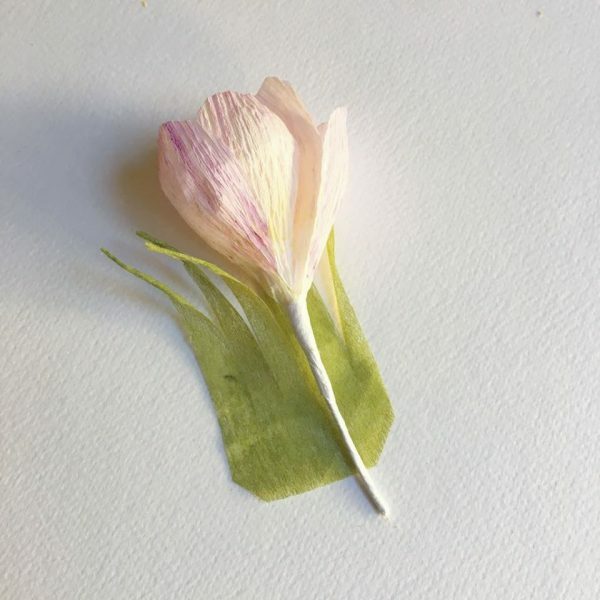 The easiest way to colour the future petals is with watercolour pencils. Leave the pieces to dry. 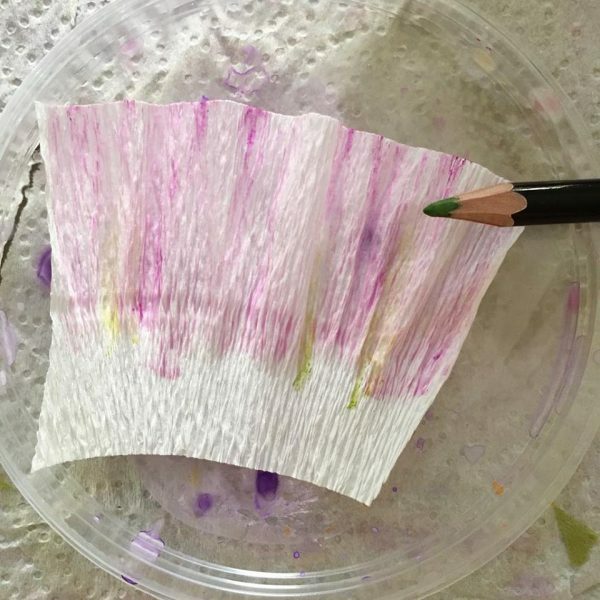 After the paper dries, fold each one in four. 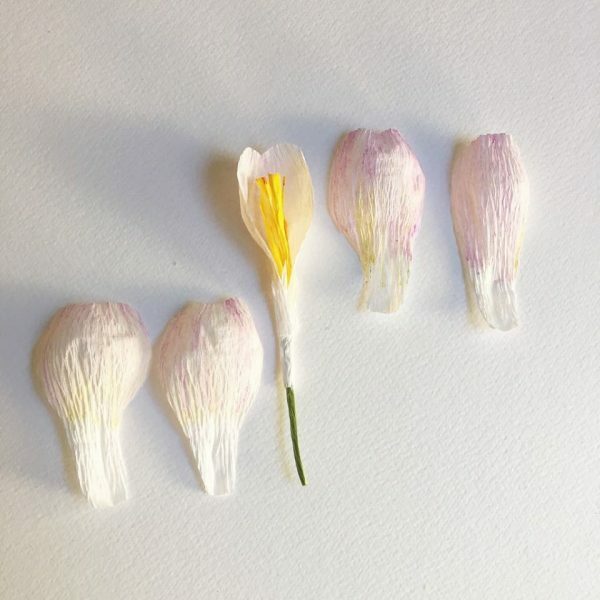 I am not giving you exact measurements, because by using just the proportions, you can make a real size crocus or a crocus bigger than you. Proportions are everything. 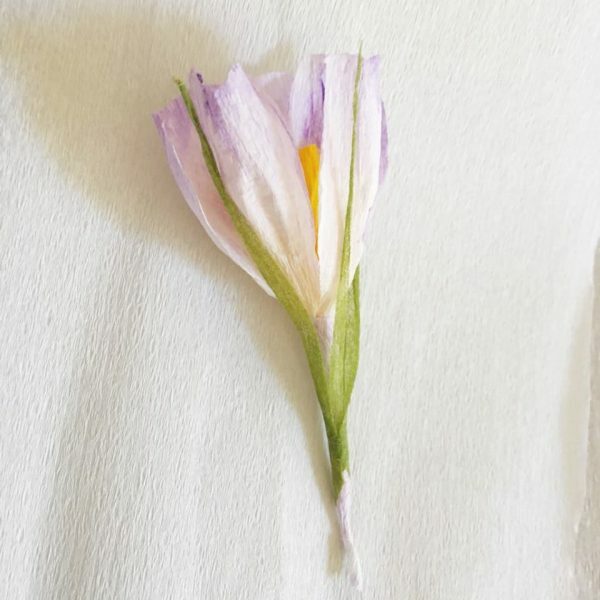 From one square piece of paper you can make four crocus petals. Shape them with your fingers. 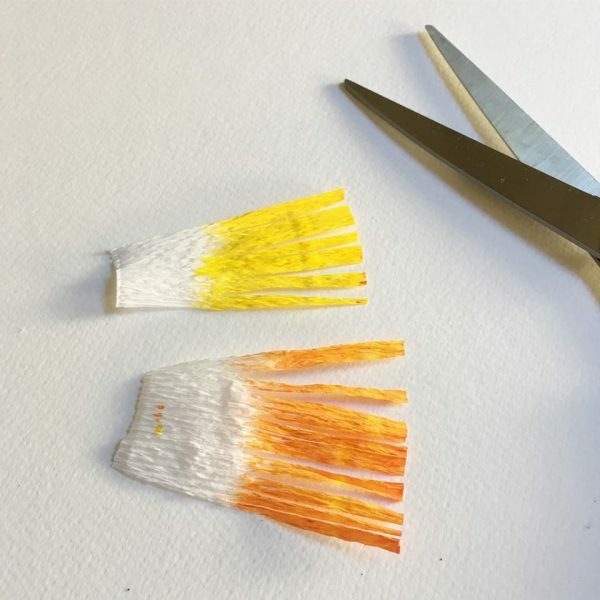 Make rectangles and paint them bright yellow-orange. When they dry, cut some fringes on the top side. 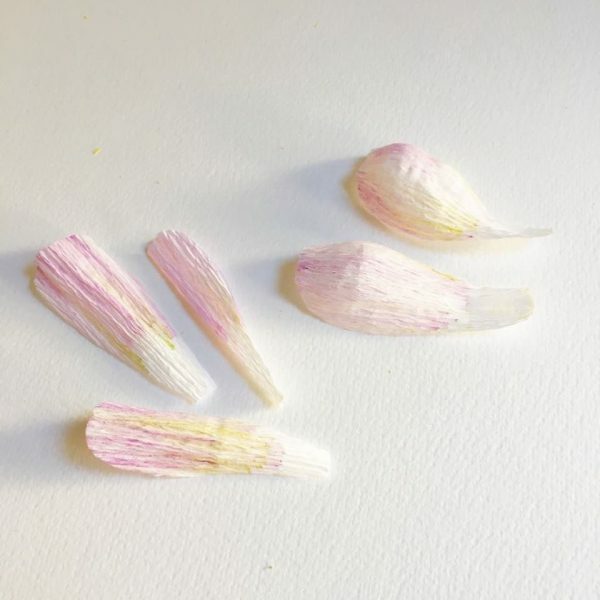 Twist the fringes between your fingers to make the future stamens look realistic. Roll them and twist them all at once. 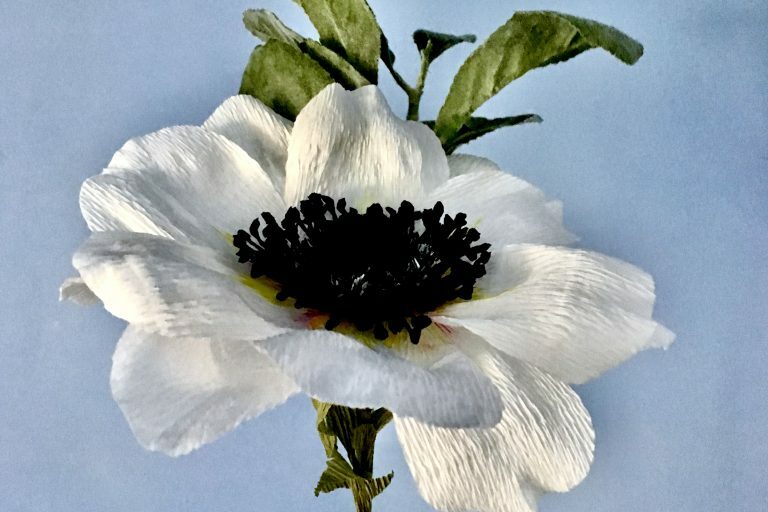 Don’t do them separately one by one as this will make the stamens look unrealistic and you can even hurt your fingers. 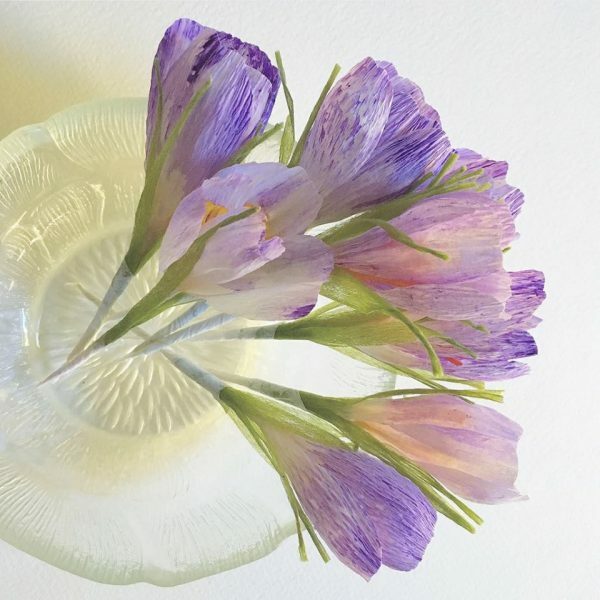 To make all the body of the crocus you can use two different ways – with a stem or without a stem. 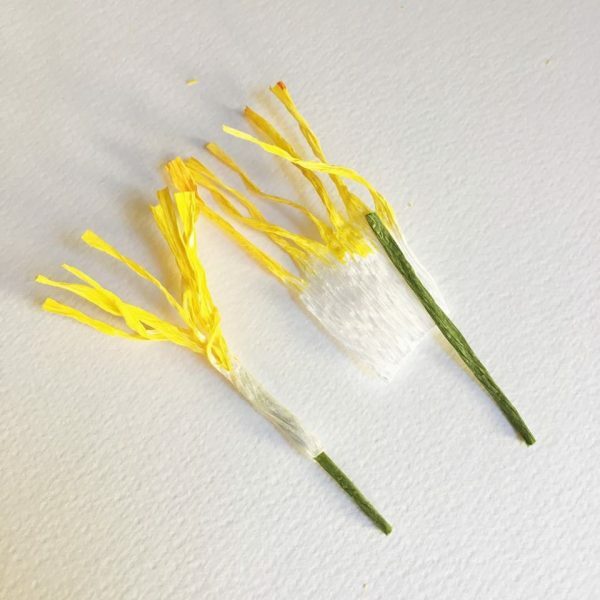 The first one is the easier, especially if you are a beginner in the Art of Paper flowers. 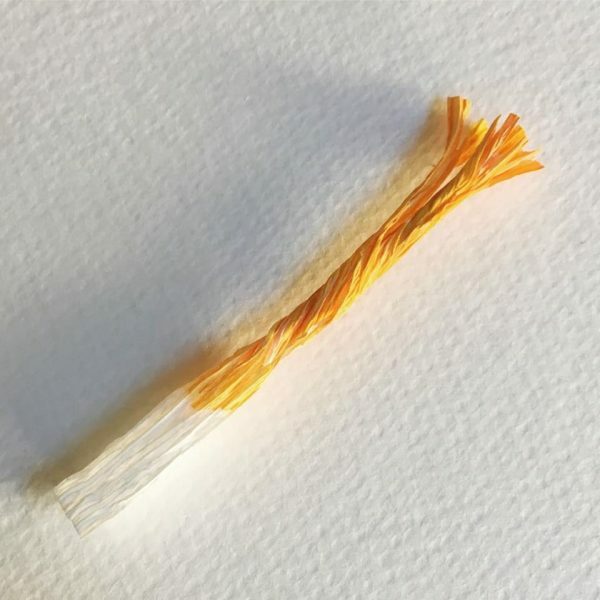 So, cut a short piece of paper wire. You can use also a toothpick. 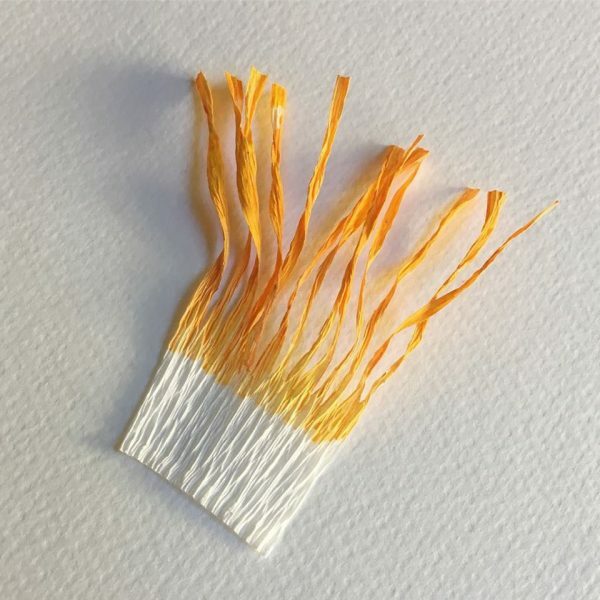 Twist and glue the stamens around the paper wire. Add the petals one by one. 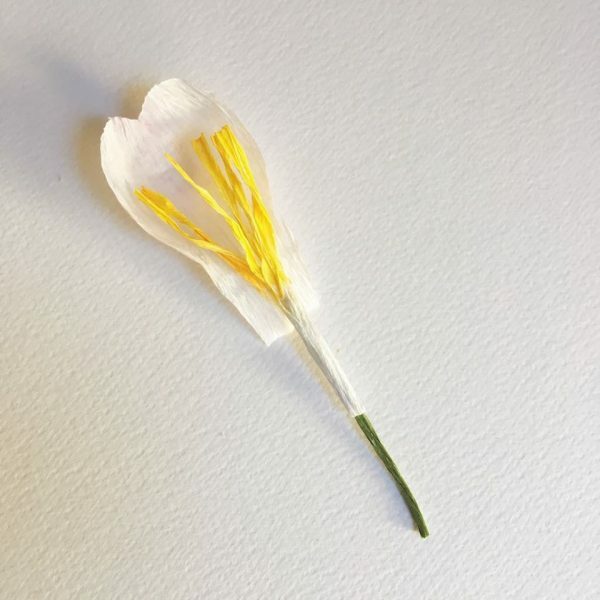 To make a realistic crocus flower you need at least 5 petals. 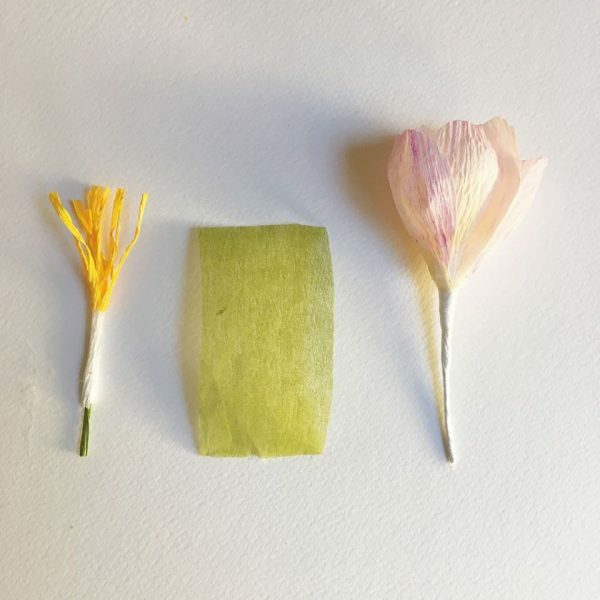 When the petals are glued, twist some thin “ribbon” of green crepe paper around them and around the stem. 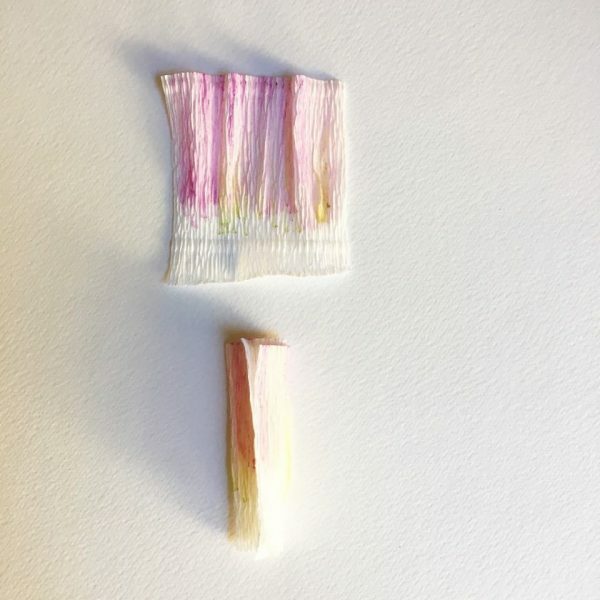 From a thinner crepe paper or tissue paper make small rectangles as shown in the picture. Cut some bigger fringes and twist their edges. 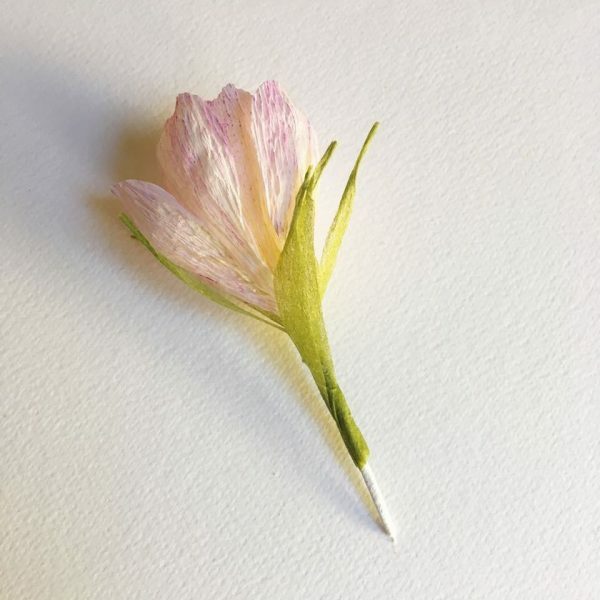 Glue the leaves around the crocus’s stem. 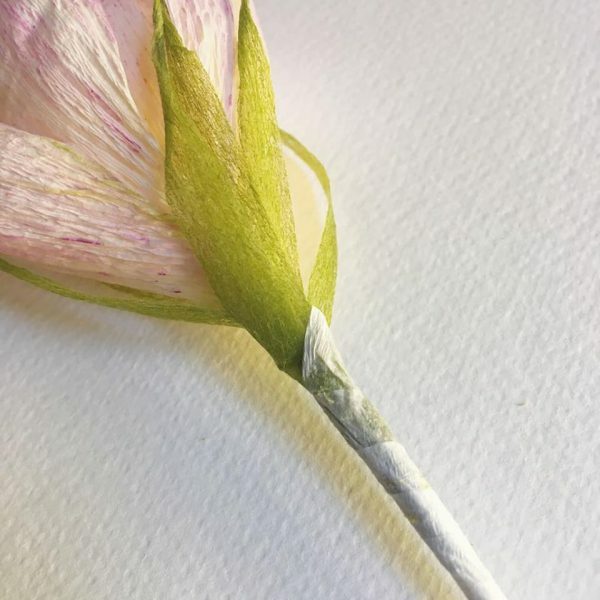 When the green leaves are fixed, I am using thinner crepe paper or tissue paper to make this almost transparent membrane around the stem. In the real flower it is under the green leaves, but more invisible, so I decided to change the real flower a little bit. You choose how to do this part. This is the way to make your own realistic every season crocus flowers! And be very careful not to start watering them by a mistake!